All Fayetteville Public Schools are closed today (Monday, March 4) due to the early morning snowfall affecting road conditions. 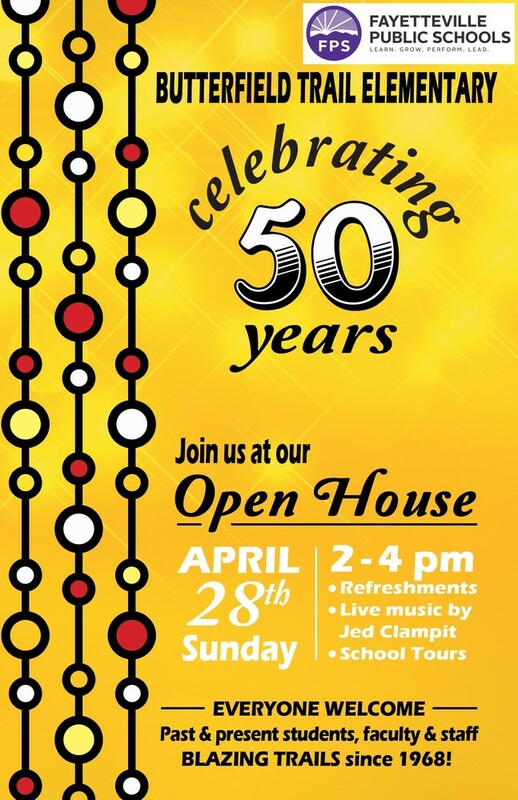 Book fair is almost here! Join us February 25th-March 1st, 8:00am-3:00pm Join us on February 27th for our Annual Grandparents Lunch! Butterfield Trail Elementary Thanksgiving lunch is on Thursday, Nov. 15th. Look under "News" for specific information on lunch time change. Butterfield Trail Elementary is having our Spirit Night this Thursday, November 8th. Treat yourself to delicious pizza from 4:00 - 10:00 at Damgoode Pies. 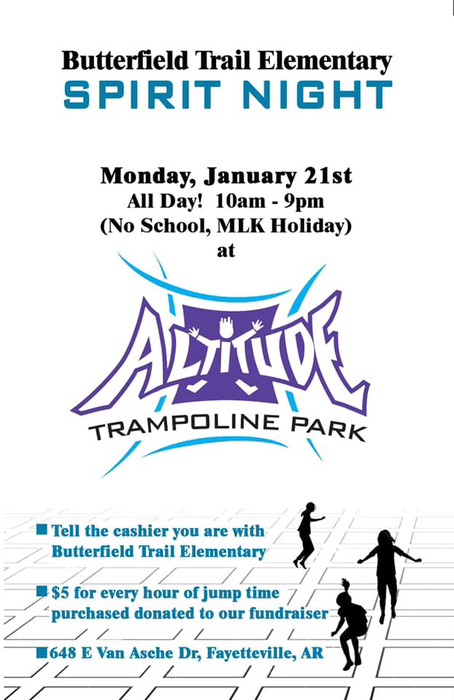 Tell them you are with Butterfield and we will get 10% of the sales donated!!!! Choose Dine-In, Carry-out, or Delivery!! Bronco Academy Online Registration starts now!!! Check out the "NEWS" for links and more information. 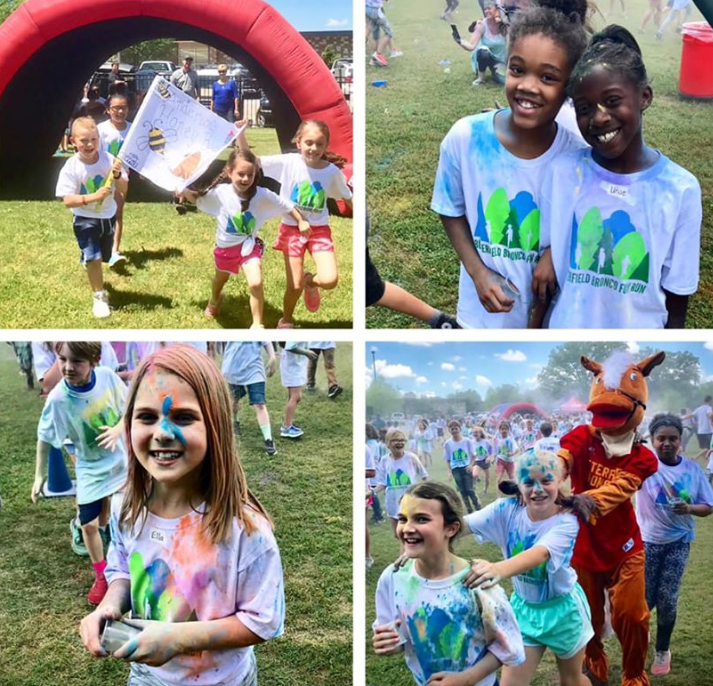 Butterfield Fun Run is COMING SOON!!! 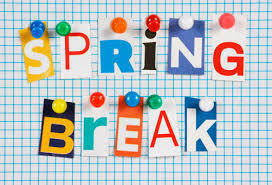 Spring Break is March 18th - 22nd!Enjoy your week! The 2nd grade musical performance will be on March 7th, at 7:00 pm in the cafeteria.Mrs. Whittle and the 2nd graders have been working hard.